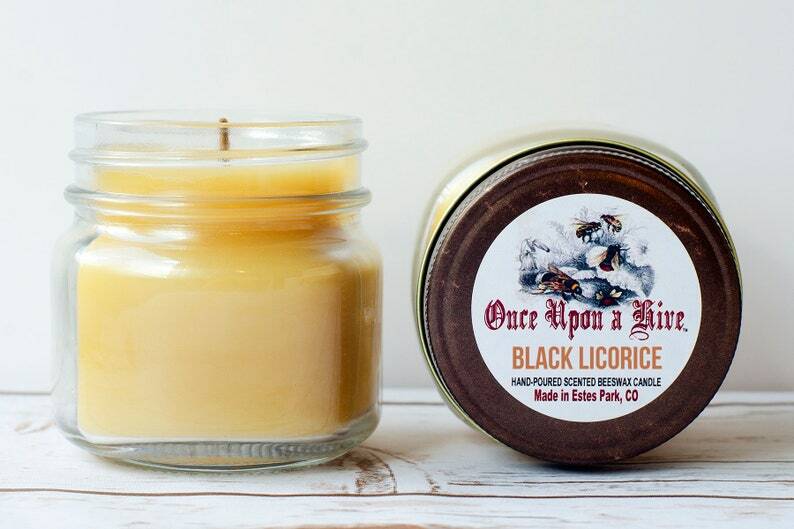 Black Licorice smells exactly like your favorite childhood candy made with lots of anise. This listing is for one Black Licorice scented Beeswax 8 oz. mason jar candle that will burn for approximately 40-50+ hours. Our beeswax candles are handcrafted and hand-poured in small batches using 100% natural beeswax and jute wicks.